However, few people realize that when you swallow a vitamin pill or multi-vitamin, the body’s natural absorption process can render up to 85% of that vitamin useless. In other words, when you ingest by mouth, only a small percentage of the active nutrients may eventually find their way into your bloodstream. When you receive a Vitamindrip “IV” the nutrients enter your bloodstream directly and immediately to help the body to begin healing itself. You get much higher concentrations of nutrients delivered directly to your body’s cells, thus allowing your body to better absorb and utilize these nutrients. Our team of doctors and health care professionals will assess and evaluate your unique physical needs to carefully put together a personal formula or “cocktail” of vitamins for your unique requirements. ORIGINAL: Hectic 24/7 lifestyle – such as stress, a weakened immune system, allergies, muscle aches, fatigue and much more. HYDRATION: Our combination of IV hydration and vitamin additives will virtually eliminate dehydration. 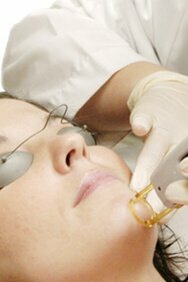 REJUVENATION: Moisturize from the inside out and restore your skin without the surgery or downtime. IMMUNE SUPPORT: Reduce the frequency, severity and duration of cold and flu symptoms by boosting the immune system. DIET AND DETOX: Say good bye to stubborn fat. Detoxify your body to get rid of unhealthy toxins. Boost energy levels and more. MOOD SUPPORT: Boost the body’s natural levels of serotonin and help promote calmness. ATHLETIC PERFORMANCE: Increased energy and decreased recovery time for anyone looking for that extra edge in performance. ACHES & PAIN: Vitamindrip works at a cellular level to treat the cause and reduces inflammation while increasing circulation. BRAIN HEALTH: Improve your brain performance and live a little brighter. LIBIDO ENHANCER: The compounds present in Vitamindrip may have a “Viagra-like” effect, relaxing blood vessel and increasing blood flow.